Technology has changed day by day. The blackboard and chalks are replaced by whiteboards and marker. Whiteboard is replaced by projectors. Technology changed over all means of learning from the blackboard to Digital Class Board. It is the visual tool that synchronizes with the hardware devices, digital classroom software and content of the different subjects. 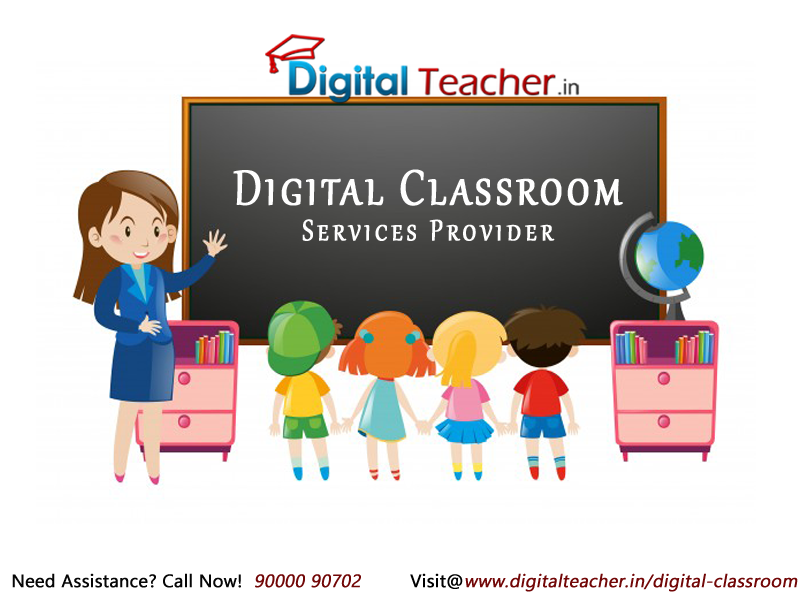 To Enhance the projection of content, the teacher can interact with the content by use of Digital pen or touchpad. Digital interactive whiteboard is loaded with unique smart features which help in delivering the content in the most effective manner. Why Digital class boards are widely used? • Increase participation: Digital whiteboard images can be saved and printed. So, students can concentrate on the topic without making notes. • Stimulating creativity: students can write, draw or write on a digital whiteboard at the same time while class is going on. They receive feedback as well on the spot. So, students and teachers can check weak points over the topics. • Structure the lectures: A teacher can schedule engaging learning tasks like match numbers and objects, picture and name match etc. in digital classroom software. • Interact and share: One can interact with the activity on digital smart board to demonstrate the grasp of any subject by touching, drawing and writing. The teacher can identify the student’s strengths and weaknesses. • Access to internet resources: Teachers can easily connect with online resources such as documents and videos. Add supplements to the study materials through research online. • Go Green: Smarts boards eliminate the process of writing, making notes on paper, or printing images and documents. Reduce the use of ink and paper and provide pollution free environment. Pen and interactive board do not harm a teacher’s health as well.